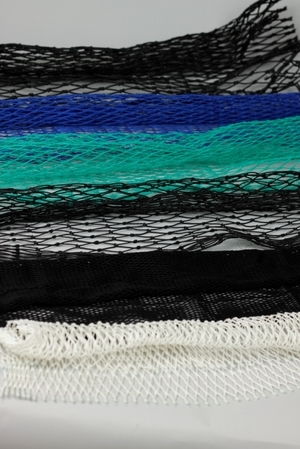 3/8 braided polyethylene netting for commercial lobster creels. 35mm meshs. 19 meshs wide. Sold per 3 kilo.